An iconic feature of the upper Mountains. Always showing an eclectic mix of quality films from Australia and abroad, arthouse to kids, new releases to classics. Saturday’s we have our lovely organist playing all the classics before the feature. We have a well stocked snack bar with homemade choc tops, hot soups in winter, home-baked treats and the cheapest tea and coffee around. Situated in sixteen rooms at the Mount Victoria railway station the museum has an amazing collection of Australiana. Exhibits cover early explorers, convicts, road and railway builders, settlers and more recent social history. 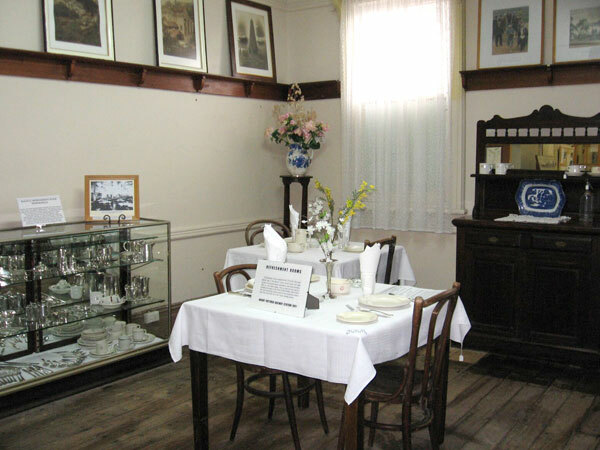 They include memorabilia, photographs and historic records of Mt Victoria and district. There are examples of early farming tools, dairy, laundry and kitchenware, birds and animals, musical instruments, collections of early photographic equipment and railway refreshment room tableware, as well as a school display and clothing from the mid 1850s onwards. The heritage listed sandstone railway station, in which the collection is housed, is a reminder of the days of steam train travel and is well worth a visit.